I got a religious tract recently written and printed in Baguio City, Philippines that seeks to convert Christians to Islam. On first reading, I thought they did a pretty good job. On a second, more critical, reading, I found a lot of problems in it. But that is why it is good to read uncritically the first time. When you start from a critical point, you are shutting your mind out to what is being said. I noticed that a major point the writer was that the Quran has no contradictions while the Bible has lots of contradictions. I have only read bits of (the English translation of) the Quran. Of the parts I have read, I have seen things I, personally, would describe as quite contradictory. In fact, I was actually a bit surprised to find so many contradictions in so little reading since it is marketed as being without contradiction. Since I am not Muslim, I certain expected contradicitons– I just didn’t expect them to be so glaring… from my perspective at least. But, really, contradictions are in the eye of the beholder. By this I mean that contradictions are often more emotionally-grounded rather than logically-grounded. In Math, in set theory, in computer programming, in Boolean logic, there are absolute tautologies and contradictions. In the “real” world they really don’t exist, at least they don’t exist without some measure of ambiguity. In other words, in the real world contradictions are often more of an opinion than fact. And even when contradictory in fact may not be all that problematic. first, all writings have contradictions of some sort. second, not all contradictions are bad. 1. There are some things that are called contradictions but simply are not. Some say that the Trinity is illogical or “self-contradictory.” Now, I believe that the Trinity is a sound Biblical concept (although some take theological speculation too far to try to dispel mystery. Mystery is good). But even if you don’t believe in the Trinity, it is not illogical or self-contradictory… it is simply outside of our own personal experience. An internally social being is far from illogical, just something that we can’t fully relate to. If we were visiting other planets and found sentient life where the beings were internally social (multiple sane personalities within a unified being), I don’t think we would be able to conquer them by “logic-ing” them away. They would still exist regardless. In like manner, if two people say two different things, they are not necessarily contradictory. If one verse in the Bible describes God saying that “God is love” while another says that “God is one,” while yet another that “God is a jealous god,” these are not contradictory unless they are mutually exclusive. But let’s not focus on these, but things that can be, in one way or another, be honestly described as contradictions. Contradictions? Formally, yes. But it was done with intent and purpose… logical tension to clarify an unclear situation. In Genesis, it says that ALL life was destroyed on earth, while just a couple of verses later, it says that some life survived. It is pretty clear that the writer was not confused. The second statement was meant to add to the prior statement. God is described as being unchanging, while at other times described as having emotions as well as making different decisions and doing different things at different times. It may be wise to assume that the unchanging nature of God is to be understood as compatible with the transitory phenomena we see with God of the Bible. Formal contradictions happen everywhere. As a general rule, if one has the option to judge a contradiction, it is reasonable (and certainly respectful) to start by considering the possibility of whether it is a formal contradiction. B. Contextual Contradiction. This describes differences reflecting the variety in circumstances of the writer and reader. Let’s take a fairly obvious example. Suppose two different people asked directions to go to Chicago. One person lives in Washington State and one lives in Connecticut. The one in Washington would be pointed in an Easterly direction while the other would be pointed in a Westerly direction. The two directions to Chicago are contradictory (East versus West) but are both correct within the setting or context in which the directions were given (Washington versus Connecticut). Isaiah describes God as faithful in protecting Jerusalem, Jeremiah describes God as planning to have Jerusalem destroyed, and Jesus (with the woman at the well and other places) described Jerusalem with, frankly, a bit of ambivalence. However, these were messages given at different times in history to different people and involving different circumstances. For example, the message of Isaiah was to a fearful lot, while the message of Jeremiah was to an overconfident lot. The Word of God to a legalist is likely to be considerably different than to a sybarite. Yet the word can still be compatible… just contextually contradictory. These happen all of the time. It almost seems unfair to describe these as contradictions… but on a certain technical level they are. C. Substantial Contradiction. This is where there is true divergence (not just formal or contextual) coming from different perspectives, or personalities. However, the divergence does not necessarily mean that there is a genuine conflict. Consider an American Football team. On a professional teams there is a head coach and an offensive coordinator. Suppose the head coach believes that the way to win is a control-the-clock, ground game, while the offensive coordinator believes that the way to win is a light’em up air barrage. There is a substantive disagreement between the two. However, both have the same ultimate goal (to win) and both are on the same team. The contradiction in this case is not the goal or purpose, but the best method. Intent and purpose are really key in judging substantial contradictions. 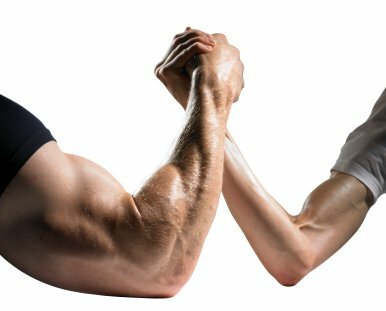 Consider two arm wrestlers. They are in complete agreement in terms of action— pivot one’s arm counterclockwise. In that sense there is no contradiction. However, they have opposite goals, meaning that they have substantial contradiction of goals. This would be a much greater concern. Substantial contradictions are of much greater concern if they undermine the other perspective. If they reflect personal preferences or opinions while clearly still having the same goals, being “on the same team,” substantial contradictions are not such a problem. In fact, it is the starting place for healthy dialogue. It is often hard to tell the difference between a substantial contradiction and a form or contextual contradiction. Take for example the Wisdom literature of the Bible. The writers of Proverbs teach that the godly are rewarded while fools suffer. However, when one goes to Job and Ecclesiastes, a different view is portrayed. Sometimes the godly suffer and the fool is rewarded. (And when you get to the Gospels and I Peter it becomes even more challenging— the godly should expect to suffer.) A contradiction for sure, but what type? Consider the case for Contextual Contradiction. Perhaps the book of Proverbs was written for those who need encouragement… they need to know that it is worthwhile to follow God… keep on keeping on (a bit like the recipients of the Book of Hebrews in the New Testament). The writers of Job and Ecclesiastes target the “Cat Theology” folk (utilizing the term used by Bob Sjogren and Gerald Robison)… those who follow a sort of Prosperity mindset… do good and get paid by God, do bad and be punished by God. This is the attitude of Job’s “friends.” Perhaps these people needed a (generally) more cynical, (philosophically) more Epicurean, and (honestly) more real-world view of how life is. It is possible that if the writers of Proverbs, Job, and Ecclesiastes were put into the same room, we would find that they agree with each other… just wrote differently because of different purposes and audiences. Or, perhaps there is a substantive difference in their believes. It is hard to tell. We will bring up Substantial Contradiction more later. D. Fundamental Contradictions. This is like substantial contradictions but adding that there is a basic disharmony in ethics and outlook. Returning to the American Football team illustration, the coach and the offensive coordinator are no longer on the same team. One is trying to win out over the other. This would be a fundamental contradiction. Some read Paul (saved by faith alone) as being in fundamental conflict or contradiction with James (faith without works is dead). I, personally, don’t see that at all. But these things are tough to determine because we really need to know what is going on in the minds of the writers… are they enhancing a complicated doctrine or are they undermining and attacking each other in terms of doctrine. Some would argue that the Old Testament and the New Testament contradict each other on a fundamental level. 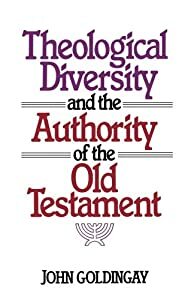 However, since Jesus and the apostles make it clear that their goal is to “fulfill” the Old Testament… bringing into being what the OT hinted and predicted, they absolutely did NOT see themselves as contradicting on a fundamental level. Obviously, you might disagree with them… but again, they did not see themselves as part of a fundamental contradiction. So does the Bible have contradictions? Let’s go through the types. Formal Contradictions? Absolutely. It would be hard to imagine a decent length of work that would not have contradictions of form. It is a normal and healthy characteristic of human language and communication. Contextual Contradictions? Absolutely. One of the really awesome things about the Bible that is different from most “holy books” is its grounding in history and across history, and in culture and across cultures. The only way the Biblie could avoid contextual contradiction is if was written at one point in time to one culture. Thankfully for us, the Bible is multicultural so we can separate between cultural setting and message (again, unlike some other writings). Substantial Contradictions? Maybe… let’s talk about this more. Fundamental Contradictions? I am going to say “NO.” Yes, contradictions (like beauty) are in the eye(s) of the beholder(s). But to me all of the Bible directs people to God (ethically, doctrinally, and relationally). I don’t see anyone “playing for the other team.” I don’t see fundamental contradictions. Okay, what about Substantial Contradictions. This really depends on your understanding of inspiration. If you believe that divine inspiration means that God is the author and individuals are simply the dictation machines (like claims that seem to be made by Mohammed or Joseph Smith) than Substantial Contradictions would be a problem. That is because such contradictions of substance come from God. But if inspiration gives freedom to the writer (under guidance of and editorship of God), real diversity of view is quite reasonable… as long as the purpose/aim is the same. If inspiration allows diverse writers to bring their personalities into it– genuine disagreement in small matters, but definitely “playing for the same team”– then substantial contradictions could exist and one is not forced to show that all of the contradictions are formal, contextual, or not contradictions at all. So what does this have to do with missions? I would like to suggest that the issue of Contradiction (whether it be in the Bible, Quran, Book of Mormon, Bhagavad Gita, or any other work that claims divine nature or authorship) is a waste of time. It tends to lead to a cycle of subjective gainsaying. It is true that, for example, the Muslim claim of the Quran being eternally uncreated and transmitted through something akin to automatic recitation… makes it more open to critique regarding substantial contradictions. Still… if one does not see a contradiction, one will simply not see it. A healthier route is to appreciate and understand the contradictions. Sadly, labeling an issue as a contradiction shuts off the opportunity to learn and grow.